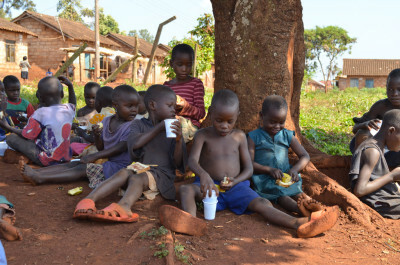 Macedonian Child Outreach Project (MCOP) is part of a Ugandan Christian NGO Macedonian Vision Africa, which works in the Masese slum, Jinja. It is run by Pastor Alfred Adundo Wafula. MCOP supports children from Masese with school fees, centre days run during school holidays, and gives them ‘Personal, Social and Health education’ as well as bible study classes. The child sponsorship scheme provides a reliable income to MCOP, enabling them to plan and offer support to more children from Masese slum. MCOP supports 143 children at present, 58 in primary (aged 6-14) and 85 in secondary (aged 14 – 19). Macedonian Vision Africa (UK) is a UK based organisation which has been set up by Rachel Muter, Nigel Harris and Paula Gabbott to run the sponsorship scheme. If you are interested in sponsoring a child please contact us stating whether you have a preference in sponsoring a girl or a boy, in primary or secondary school. You will then be sent information about a child in the scheme with a photograph. If you are happy to sponsor the child, we will go ahead with setting up the payment for a year. You can pay for the year’s school fees in one lump sum or choose to pay in 12 monthly installments. 95% of your donation goes to MVA with only 5% going towards bank transfers and postage costs. Why is it so little money? 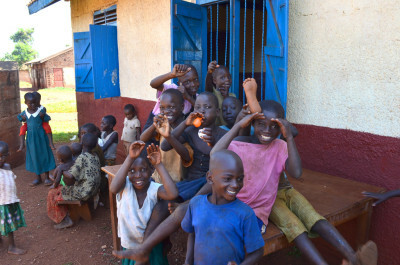 Unlike other sponsorship schemes this is only paying for a percentage of the school fees, it does not support the welfare of the child’s family. MCOP only contributes some of the school fees, encouraging families to pay a small amount and remain engaged with the child’s education. What is expected from the sponsor? We are looking for sponsors who are willing and able to commit to regular payments for the child for as long as possible. In addition to this please pray for your sponsored child, their family and MCOP. What is expected from the child? Your child will be told of their sponsor and will be encouraged to write at least once a year.